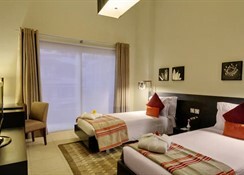 This hotel stands in extensive grounds in Hor Al Anz East- Deira- Dubai- about 15 minutes' drive from the World Trade Centre- Dubai Creek- and the city's shopping centres. 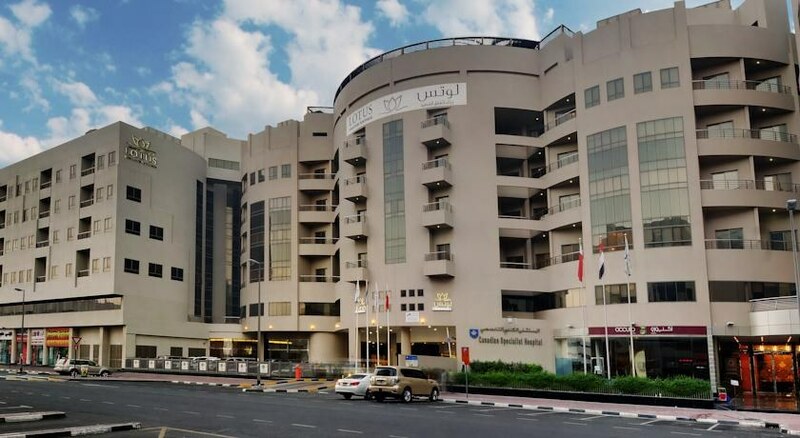 The hotel lies 3 km from Dubai International Airport.The hospitality offered at this hotel reflects a myriad of cultural nuances and this establishment caters for guests' individual needs and requirements thanks to its range of facilities. 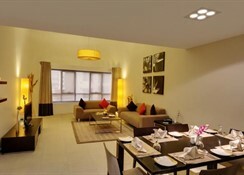 This apartment hotel comprises a total of 130 accommodation units. Facilities on offer to guests include a currency exchange facility- a café- a restaurant and room service.The luxurious 1-- 2- and 3-bedroom apartments offer an open-plan design with a fully fitted kitchen equipped with 06 range burner- a microwave oven- a fridge/freezer- a toaster- a kettle and the necessary kitchen utensils. 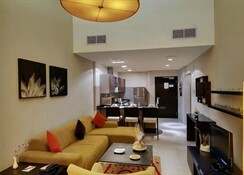 The lounge area features welcoming sofas to enhance guests' enjoyment of the spacious living room with its 34-inch flat-screen TV- DVD player- music system and high-speed Internet access. 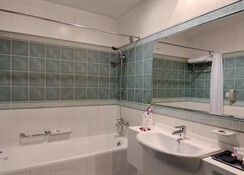 Satellite TV is also a standard feature in all apartments- and all bedrooms within the apartment come with a private en suite bathroom.Guests may enjoy a spectacular view of the city from the hotel's rooftop swimming pool- hot tub- sauna and steam bath. There is a unique baby pool for the youngest guests (aged 3 to 12) and a health club with fully equipped gym is also at guests' disposal. Guests will find the city's golf courses only around 15 minutes' drive from the hotel.At BiteRite- the 24-hour coffee shop- guests can savour a scrumptious array of regular multicuisine dishes from menus which have been carefully planned and screened by a team of expert nutritionists- endocrinologists and chefs- including gastronomic delights to please even the most critical palate. The Hotel offers some useful facilities like Round the clock dining café, 24-hour In-room dining,Shopping Arcade, Toddlers Room with childrens’ play area, Baby sitting facility, Safe lockers & iron & iron board in the rooms, Business Centre with Internet facility. We provide free shuttle service to the Airport, shopping malls and pre-identified nearest beach sites, Secretarial services, Round the clock medical assistance [available on request], Foreign Exchange, Travel, Tour & Car Rental facility, Visa Assistance and Car Park. The hotel’s signature restaurant ‘Bite Rite’ serves an array of International multi-cuisine options from a health cuisine menu that has been nutritionally crafted. 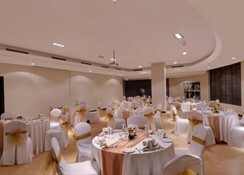 Luxury meets business in our trendy meeting rooms - Majlis 1 & Majlis 2. All 130 apartments have flat-screen TVs with satellite channels and feature kitchens with refrigerators, stovetops, and microwaves. Other amenities available to guests include washers/dryers, free WiFi, and balconies. 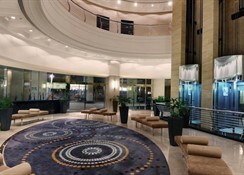 Occupying a modern building with a distinctive circular, atrium and glass lifts, this elegant apartment hotel is an 8-minute walk from Al Qiyadah Metro Station, 5 km from Dubai International Airport and 8 km from the markets of Dubai Gold Souk.